The Magic Carpet Pro is a heavy-duty camera slider built to withstand the demands of professional film making. It was designed with the professional film maker in mind and produces supremely smooth tracking motion even under heavy camera loads. It's portable, infinitely extendable, simple to use and ready to go to work even in the most demanding environments. With a concealed motion-smoothing flywheel, interchangeable track lengths and a quick-release system, it produces studio-quality footage anywhere. The Magic Carpet Pro needed to withstand heavy camera setups, take a beating in the field and feel precise and effortless. Aesthetically, it needed to look at home next to expensive high-end cameras while maintaining its sense of purpose after years of abuse. 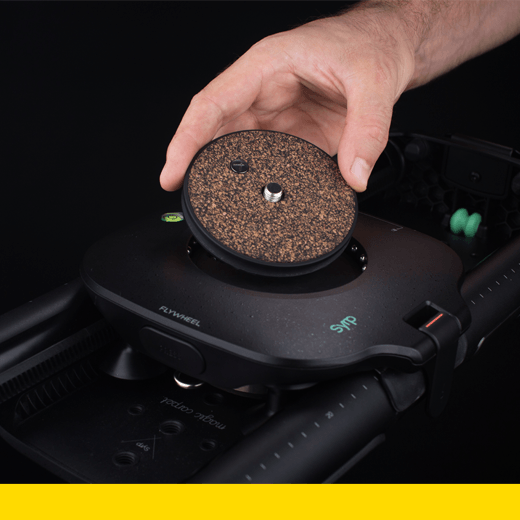 The Magic Carpet Pro lets the film maker be in control of their work, capturing smooth moving images.